Soil performs a vital if somewhat underappreciated role in maintaining healthy ecosystems, which is why the UN has designated 2015 to be the International Year of Soils (officially launched on World Soil Day on 5th December 2014). Throughout 2015, the EU-funded RECARE project will be taking part in a range of events to promote knowledge and awareness of threats to the soil, as well as the management and technological solutions to those problems. This is an urgent issue. Soils are under threat from flooding, landslides, desertification, erosion, contamination and loss of organic matter. Without healthy soil, we will experience more floods and droughts in the future. Soil also contains the largest store of terrestrial carbon; its preservation is therefore crucial to reducing carbon emissions. RECARE was launched in November 2013 in order to develop effective prevention, remediation and restoration measures. Although there is a large body of information available on soil threats in Europe, this knowledge is fragmented and incomplete. This is why RECARE, which will receive around EUR 8.5 million in EU funding over five years, is working directly with those who manage soils – farmers, planners, builders, policy makers – in order to ensure that threats to soil are not just stopped, but whenever possible, reversed. Soil degradation is caused by a mixture of biophysical, socio-economic and political factors, all of which vary across Europe. For this reason, a total of 17 case studies are being examined from Iceland through to Cyprus, in order to find appropriate responses by combining global expertise with local knowledge. In Sweden for example large expanses of agricultural peat land are under threat, leading to subsidence. While agricultural peat soils represent only 7 % of agricultural land in Sweden, they do contain a great deal of carbon, and thus have a significant impact on greenhouse gas emissions. RECARE is working with local partners to develop management strategies to reduce subsidence and emission rates. The project is also examining post-fire erosion risk in an arid mountainous region of Portugal, where prolonged dry summers can lead to wildfires. These have become a frequent phenomenon in Portugal, with almost 40 % of the study area experiencing fire at least once since 1975. The soil here tends to be shallow and stony, reflecting its long land-use history and fragility. However, recent field trials have demonstrated that mulching – placing a layer of organic material on top of soil – using forest logging residues (widely available in the region) can be highly effective in reducing erosion in recently burnt areas. Within all these sites, the current state of degradation and conservation will be assessed using new mapping procedures. 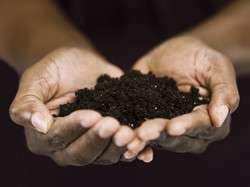 The impact of degradation and conservation on soil function will also be measured. Prevention, remediation and restoration measures will then be selected and implemented, in cooperation with those directly involved in soil management. Finally, policy messages will be formulated based on the case study results and their integration at European level. The project is scheduled for completion in October 2018.